Great quote to keep things in perspective! I love this saying. I love the rain. Unlike your area we’ve had one of the driest for this time of year here in California. Oh that’s a good quote!! 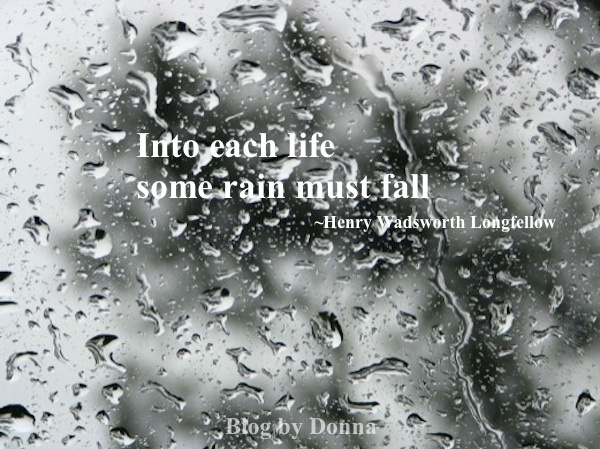 I don’t like the rain, but I like the quote! I like it on occasion. Free water for my grass!! So true! It just makes us appreciate the sunshine all the more!